Ontario Provincial Police are extolling the virtues of the opioid antidote naloxone after using it to save a woman’s life when she overdosed twice in 24 hours over the weekend. Ontario Provincial Police are extolling the virtues of the opioid antidote naloxone after using it to save a woman's life when she overdosed twice in 24 hours over the weekend. Officers were first called about a 35-year-old woman in medical distress at an address in Simcoe at 12:52 a.m. Saturday. Police say they got there and saw that the woman looked to be in the midst of an opioid overdose. The officers then administered two doses of naloxone — a substance that attaches to the same parts of the brain that receive opioids. 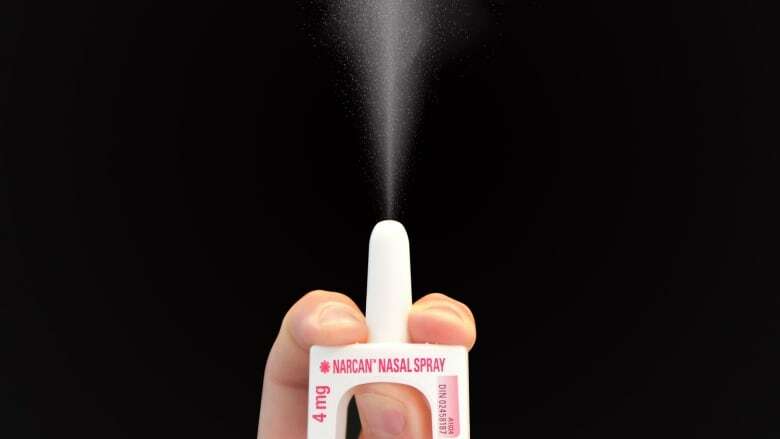 Naloxone then blocks the opioids for a short period to reverse the respiratory depression that would could otherwise lead to death from overdose. The woman then regained consciousness and began to respond, police say. She was then taken to hospital for treatment. Then at 8 p.m. that day, officers were called back to the same address and found the same woman in medical crisis from what looked like another opioid overdose. The officers again administered two doses of naloxone, and she regained consciousness before being taken to hospital a second time. According to Naloxoneinfo.org, the most common side effect of using naloxone is opioid withdrawl, which is incredibly painful for a person with an addiction. "Officers attending this address were able to quickly identify an opioid overdose and saved this woman's life by administering naloxone," said Insp. Joseph Varga, in a statement. "When someone is overdosing, minutes can make the difference between life and death. The naloxone kits are an additional tool which OPP officers utilize to keep our communities safe."